Before you do anything else, find out the appeal process for your particular school. Complete any necessary forms, e-mail the financial aid office (but address it to the right person), and call to set up an appointment to discuss your package. Once you’ve set up an appointment – over the phone or in person – have a conversation with a financial aid officer. This is your (or your parent’s) time to give them a better sense of your family’s needs and address your questions and concerns about your package. This is NOT a time to argue or beg. Simply ask them to reexamine your package and provide them with any necessary documentation to support your case. In our original financial aid post, we mentioned including a supplementary letter for special circumstances that may have affected your family’s income. If you didn’t include one with your application, include one with your appeal. Extenuating circumstances can include: medical expenses, taking care of an aging parent, being laid off, or receiving a bonus at work that temporarily inflated the family’s income. Leverage is everything! Perhaps you received a certain amount of financial aid for some schools, but not as much for another. Let the financial aid office know how much you want to attend their school, but received higher offers at comparable schools; then request a review of your package. Leverage will especially work if you are great student – they’ll want you even more! As much as you tried to avoid mistakes in your application, sometimes they happen. But you might not be the only one at fault – schools can make oversights, too. Reexamine your package for errors and request that the school reexamine your package, as well. Even if you did not receive as much as you hoped in financial aid, you will find that an appeal is worthwhile! 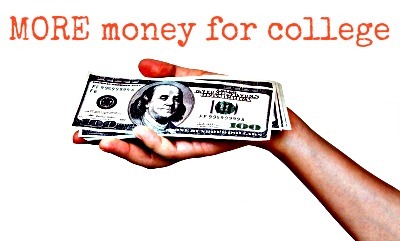 For more information and tips on appealing financial aid, visit The College Solution. Are you satisfied with your financial aid package? Comment below and tell us how you plan to appeal! I think the financial aid process is too FAFSA dependent; while our income may be ‘X’, peel back to truly understand what, if any, income is available to pay for college. Dont lump everyone into a statistical typical or average. We have finaicial struggles that are not being considered simply because they are looking at this one line on the FAFSA. I also wonder how up to date the FAFSA is to where the economy and cost of living is today? Great points B. I can’t tell you how often I’m on the phone with financial aid advisers negotiating packages based on extenuating circumstances that go undetected by the FAFSA. The gov’t has to offer a baseline way to measure need, but that’s where appealing can come in handy. 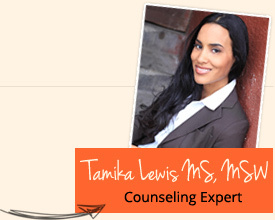 The CSS profile does offer more room to explain special circumstances.